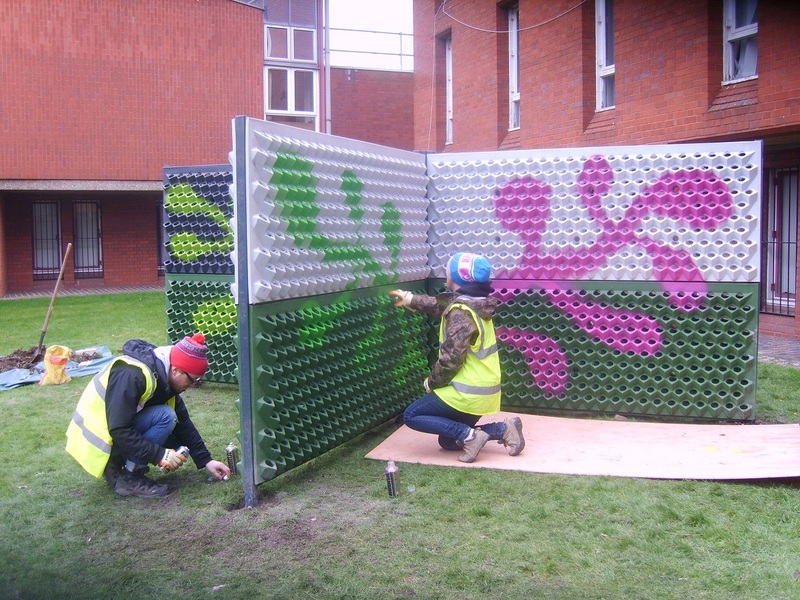 The University’s first living wall was built over the weekend of 23/24 February 2013, thereby launching the first stage of our research on the performance of plants in relation to microclimate, water resource management and the development of living walls for urban agriculture. 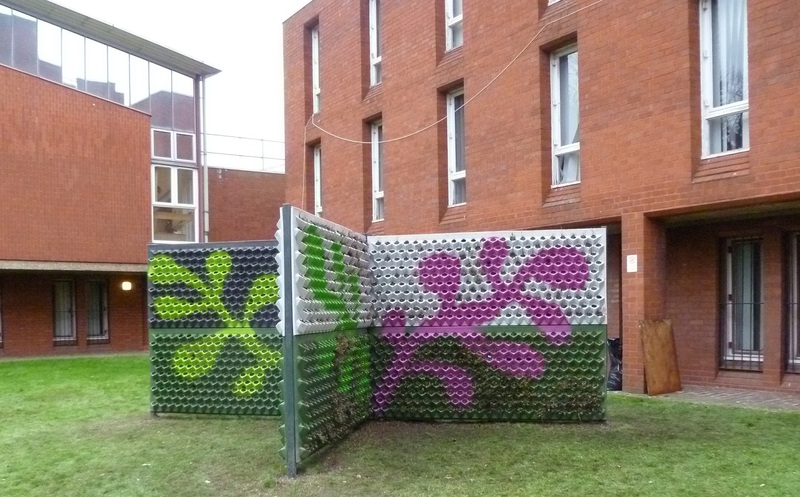 The Sustainable Landscapes Research Group and a team of Certificate Landscape Design students, led by Benz Kotzen and Shelley Mosco, built the planted modular wall outside ‘Greengages’ cafe at Avery Hill. It’s ‘X’ shape provides different sun/shade aspects and microclimates for the plants and the multi-coloured modules presents an opportunity to research thermal variations. The wall is intended to be the first of many, which will focus on urban agriculture and growing food vertically in our cities. 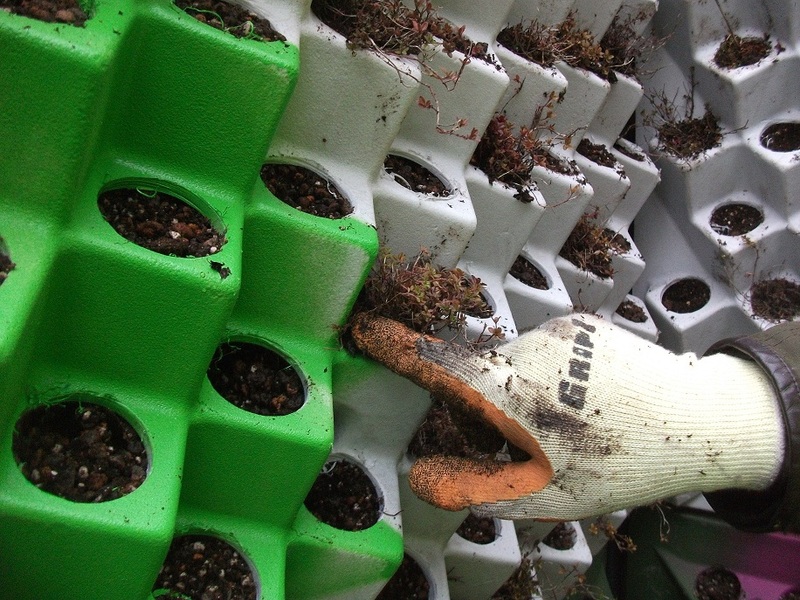 The Research Group is planning to set up a community system on one of the local Greenwich estates and also to incorporate a number of living wall systems on the new School roof at Stockwell Street.